The mantra that played repeatedly inside my head when I woke up at 5 in the morning, on the day of my scheduled skydive. I had mixed emotions hours before the dive. 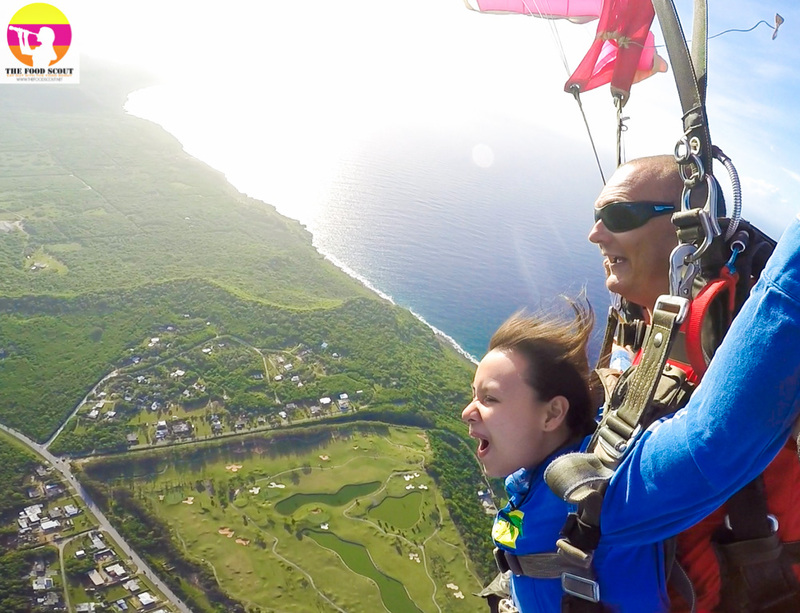 First, I was a little anxious that I didn’t tell my mom skydiving was part of my itinerary in Guam. Oooopsieeedoodles! (Sorry mom! I didn’t want you to worry and have sleepless nights because of me.) 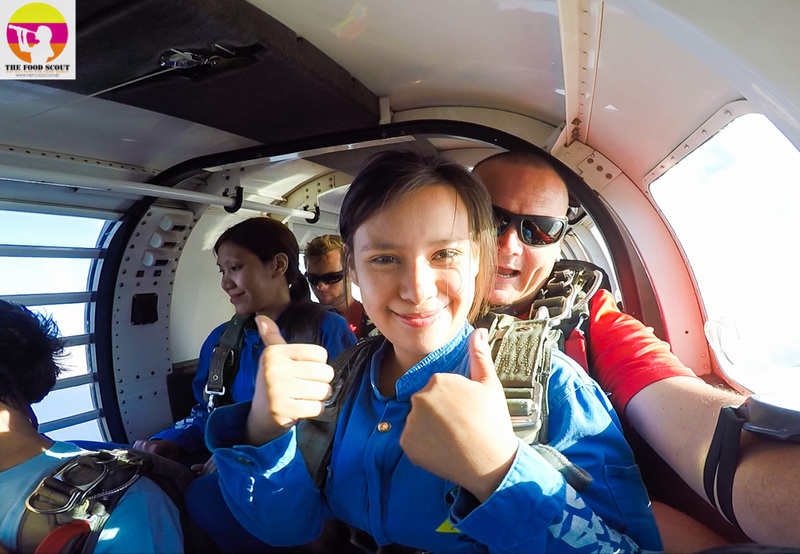 Second, I was extremely on a high, excited to ride that plane and fly high! Lastly, I trashed all negative thoughts in my mind. I didn’t think of any possibilities of danger I might encounter. In a way, that could affect me psychological while jumping. So I only injected positive thoughts, including prayers, in my head. 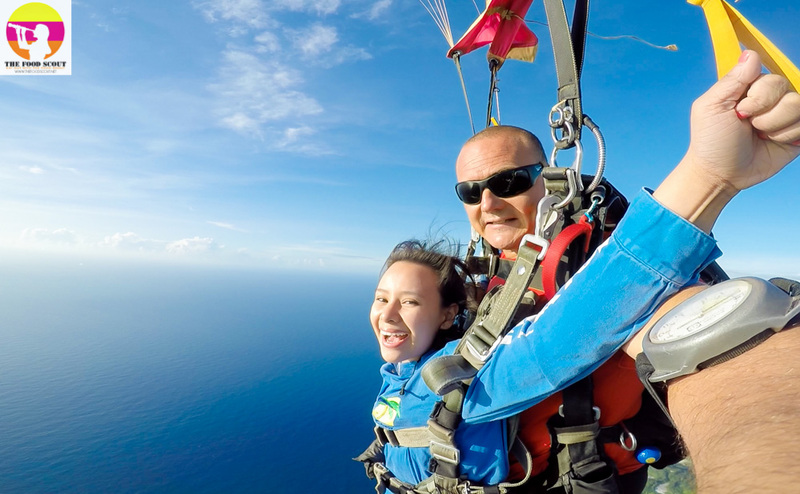 Just so you know, skydiving has been part of my bucket list. 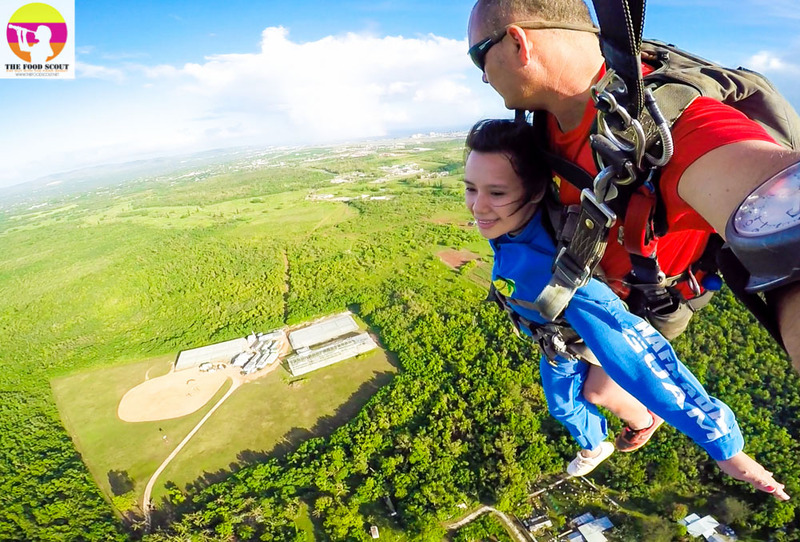 Anything that has to do with jumping from above is a must-try for me. It wasn’t too difficult to say YES to this activity. In fact, I was itching to do something extreme and crazy, while I still don’t have kids. Hahaha! Okay. I’m gonna set my craziness aside. Let’s get it on to the real thing! 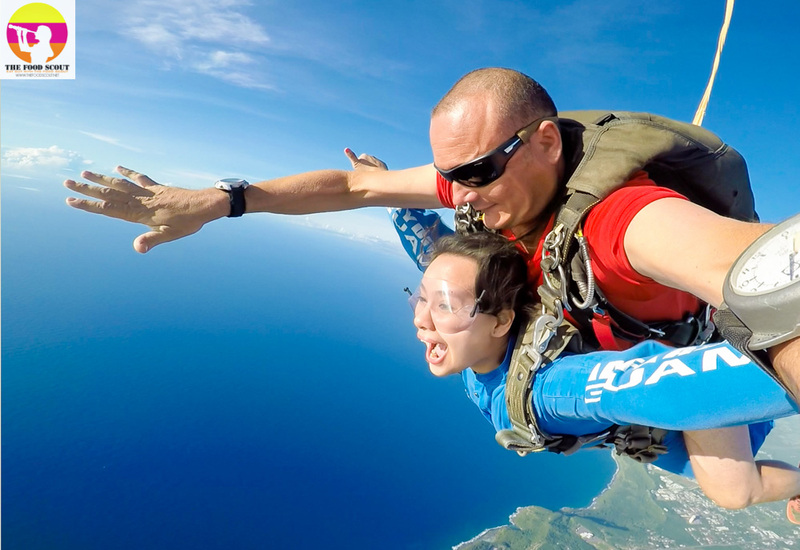 The best time to skydive is in the morning! That’s according to my skydive instructor Jack. 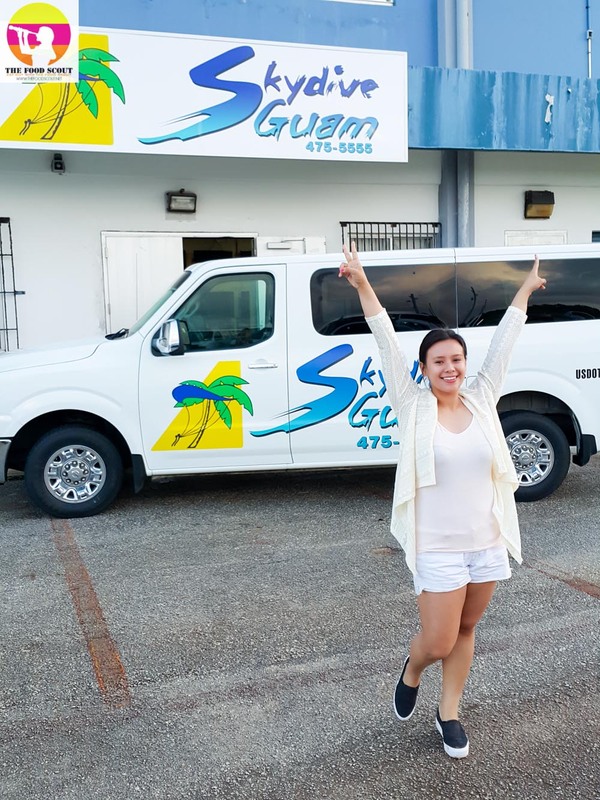 Our team was first in Skydive Guam office. But before we geared up, we were asked to take our seats by the front desk, fill out some papers and sign some waiver and insurance (yes, they’ve got insurance for the brave hearts!). To be honest, reading and signing the booklet scared me more than thinking of the skydive. It felt so serious that something wrong was gonna happen. Haha! But again, it’s only in the mind. Mind over matter (Repeat 3x). 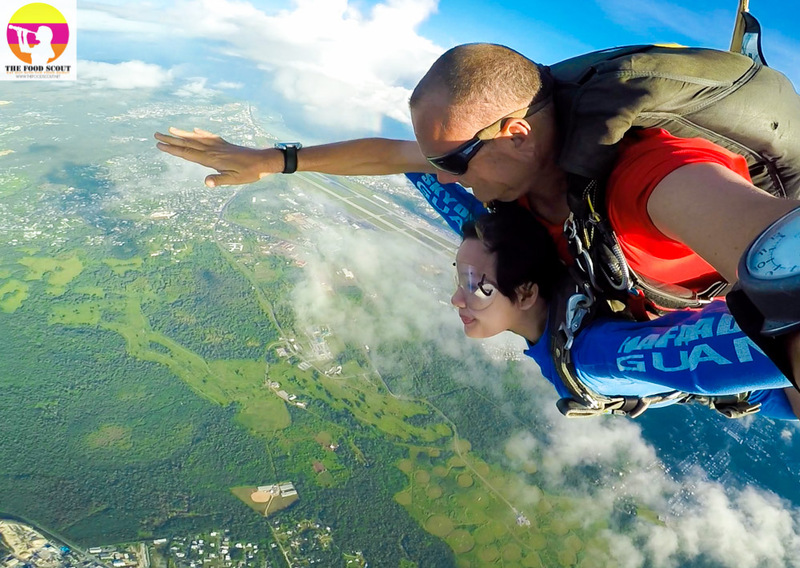 The jolly giddy me thought my shoes pass the standards of Skydive Guam. Before walking to the gear room, the receptionist who oriented us noticed my shoes, it wasn’t tight enough. She asked me to change to the available shoes for rent (without any charge). Luckily I was wearing socks and I was the first to borrow the shoes for the day. Or else… I’d need a foot spa after. Hahaha! We were asked to proceed to the room where all skydiving instructors are. 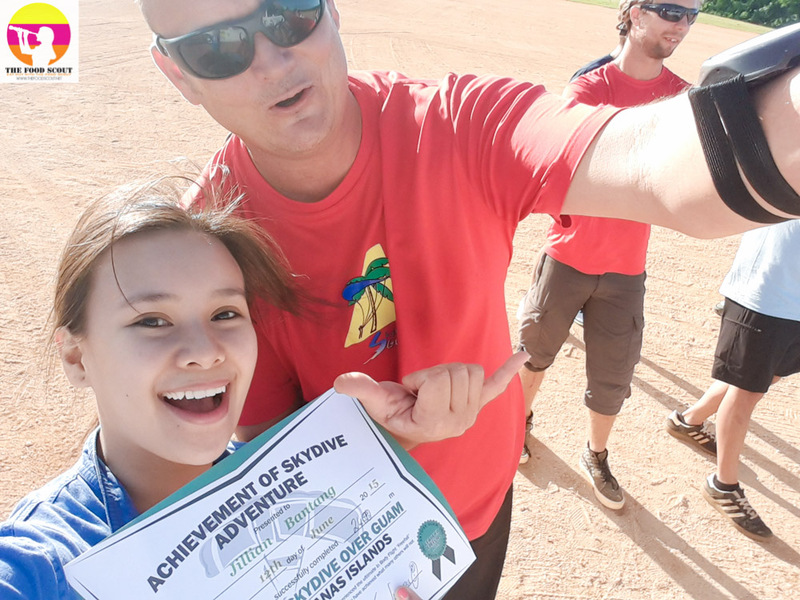 All instructors use a GoPro to document the whole experience. I met my talkative, fun and crazy Australian partner, Jack. Cool tandem for us – Jack & Jill. He asked me to wear all necessary gears, gave me a quick orientation, and then asked me to walk with the group to the plane. 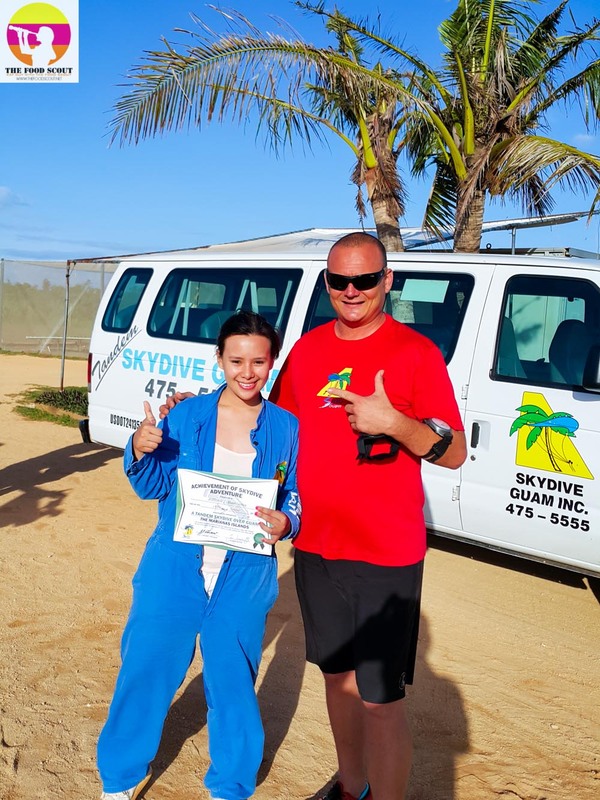 Out of all skydiving instructors, I observed Jack was the most energetic, humorous and vibrant one. The best tip, and the only tip I remember was, Look to the camera and KEEP SMILING! Hahaha! As I rode the plane, all the way up, both my heart and my mind were electrified. 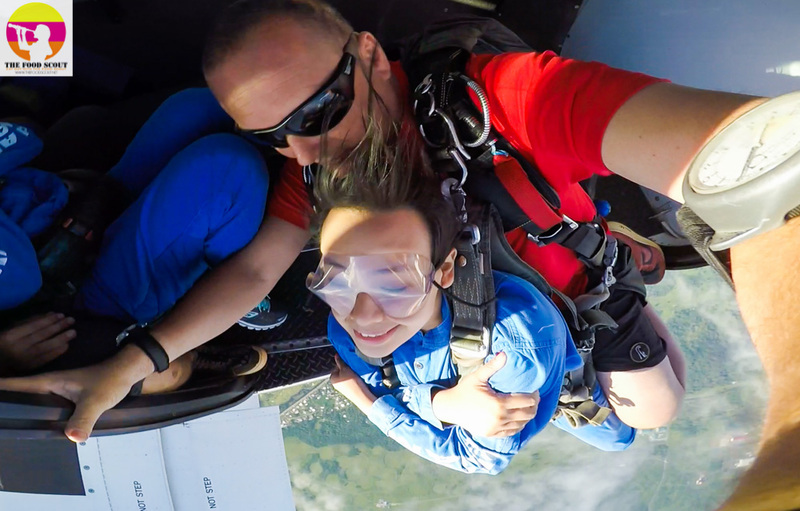 I was on fire to jump out of the plane already. Besides, all I had to do was really jump…. and fly! No countdown at all, Jack just moved to the edge of the plane and jumped off with me, without saying a word. The next thing I know… I was already flying like an eagle and shouting like a parrot! Literally!!! You should watch my video to see me in action. Woooohoooooo! He guided me to hold the parachute properly, then asked me to control from left to right, right to left. Aghhhhhh! I was literally in control, feeling like a pro! Look at that ecstatic face, couldn’t believe I was really doing it. For real!!! While flying, Jack gave me a general tour of what we see below. A bird’s eye view not worth any blink. From my point of view, I felt God reminding me how small we are from a different perspective. I appreciated God’s creation more than ever from that breathtaking view. By looking at the planet He created for us, I felt like a tiny dot out of the dotted earth in this wide galaxy. Who am I to complain and belittle God. He has proven to be my master, creator and lover. By the time we were near the landing zone, Jack asked me to put my legs up as high as I can. Only stood up when we were both steady on the ground. Slowly but surely, we glided to the right spot. “I want more!!! !” Words in my head after making that smooth land to the ground. In reality, mom might kill me if I do it again. Hahaha! A van, waiting at the landing zone, brought us back to the office, where our videos were processing. In less than 15 minutes, I received my edited video, in DVD copy. These guys are pro, especially my partner Jack. He captured my best moments while flying. Right flattering and some unflattering angles. Haha! 2. Wear comfortable clothes – t-shirt, shorts and sneakers. 3. SMILE for the GoPro! Be between 18-65 yrs. old. Weigh less than 220lbs. (100Kg). Not be under the influence of drugs or alcohol. 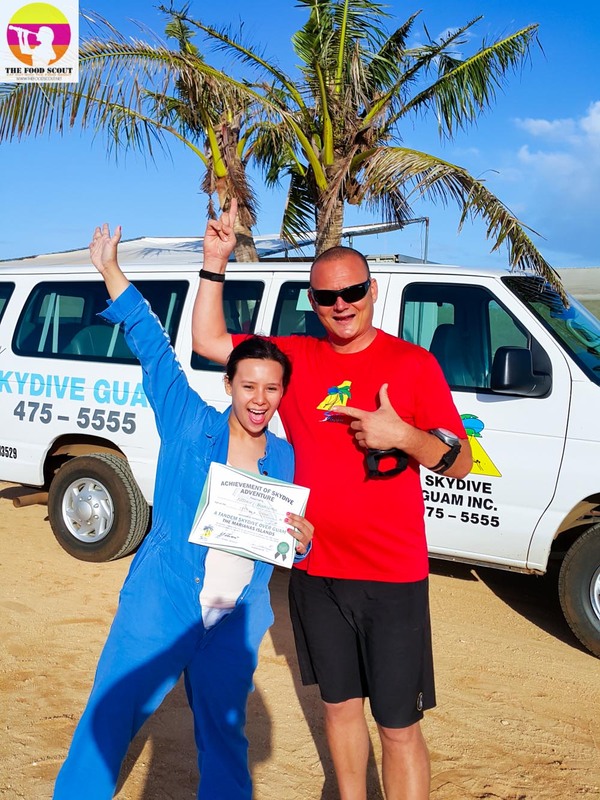 Not have been scuba diving within 24 hours prior to skydiving.